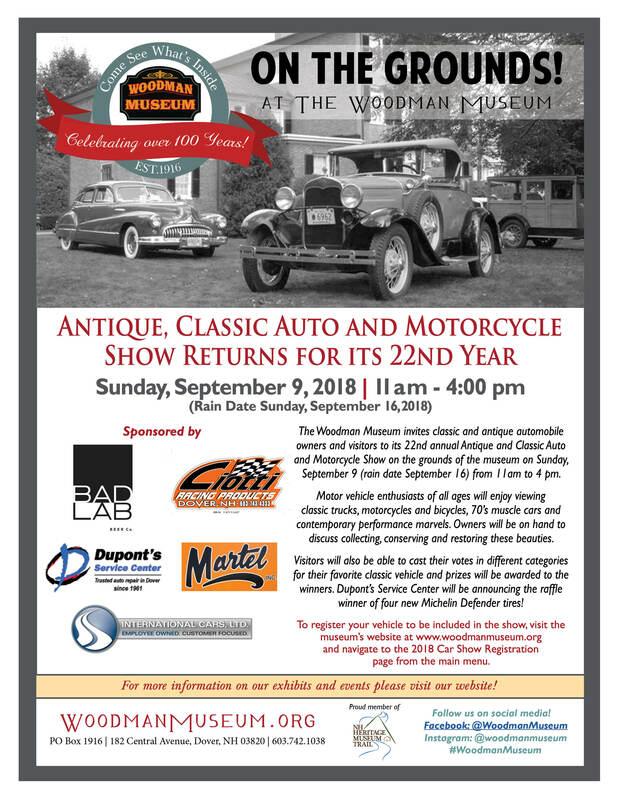 The Woodman Museum invites classic and antique automobile owners and visitors to its 22nd annual Antique and Classic Auto and Motorcycle Show on the grounds of the museum on Sunday, September 9, 2018 ( rain date Sept. 16) from 11am to 4 pm. Motor vehicle enthusiasts of all ages will enjoy viewing classic motorcars, trucks, motorcycles and bicycles and will have an opportunity to discuss collecting, conserving and restoration with owners. Visitors will also be able to cast their votes in different categories for their favorite classic vehicle and prizes will be awarded to the winners. In addition, Dupont’s Service Center will be announcing the raffle winner of four new Michelin Defender tires. Plan on spending the afternoon with one of the Seacoast’s oldest historical attractions, currently celebrating its 102nd year on the spacious grounds of the museum, located at 182 Central Avenue in Dover, NH. Regular museum admission fees apply (free for members). Car show participants receive two (2) free admission passes. This year’s Antique and Classic Auto and Motorcycle Show is sponsored by Dupont’s Service Center, Defense Manufacturers, Inc., Martell Plumbing, Bad Lab Beer Company and Dover Chevrolet / Honda. Beverages and food are catered by Bad Lab Beer Company of Somersworth, NH. 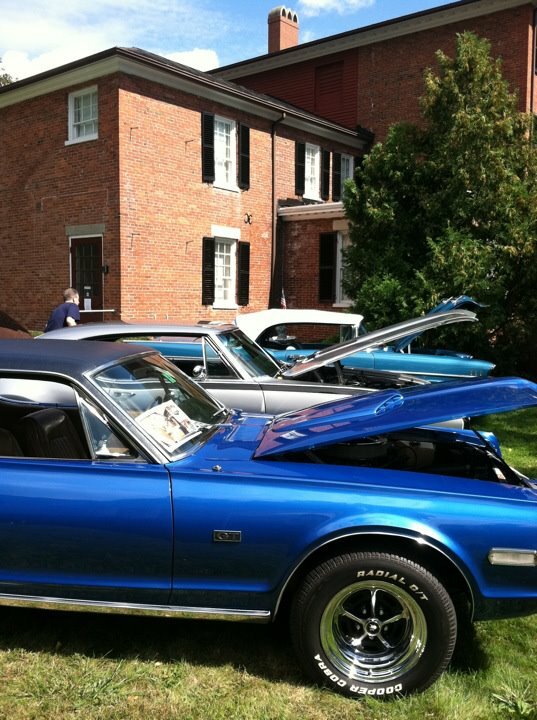 To register your vehicle to be included in the show visit the museum’s website at www.woodmanmuseum.org and navigate to the 2018 Car Show Registration page from the main menu. For additional information or sponsorship opportunities please contact director@ woodmanmuseum.org or call (603) 742-1038.